Police UPDATE: A woman and three males came to the Rainbow Road residence. The group came to confront and accuse the mother of stealing items from a home. The males were confrontational and threatened the homeowner Timothy Pompey, who, fearing they would attack him shot one of the males with a licensed 38 revolver. The suspects fled and the person who was shot was driven by private vehicle to 167 Barnum Avenue. The person shot was identified as Phillip Mitchel and he went into surgery for a gunshot wound to the stomach. He was listed in stable condition. 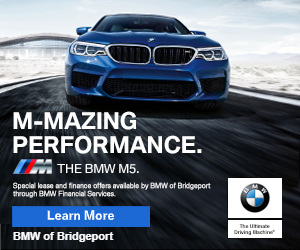 8:30pm–#Bridgeport CT– Police received a call from a homeowner on Rainbow Road that someone was allegedly trying to enter his home and he shot the intruder. A short time later police received a call allegedly from the victim that he was at Old Town and Reservoir Avenue but when police arrived they found no one. A short time later police received a call that the victim was inside a residence in the 100 block of Barnum Avenue. They found a man shot in the side of the stomach. The man was alert and talking with EMS. He was transported to the hospital with non-life-threatening injuries. Police spokesperson Av Harris confirmed the person shot on Rainbow Road was, in fact, the victim on Barnum Avenue.